Brace yourselves, because you are about to see something really cool that you are going to want on your phone today, only it’s not coming today and is an iOS exclusive at the moment. Don’t ask me why, just know that Google likes to torture us and this is the latest example. Say hello, to Gboard for iOS! What is Gboard? Well, you could watch the video and it’ll tell you. If you don’t have time for videos, let me try to explain. Gboard is a new keyboard for iOS that works like any keyboard when it comes to the typing part, or gesture swiping of words. Where it really shines is in this addition of a Google button in its top left corner. 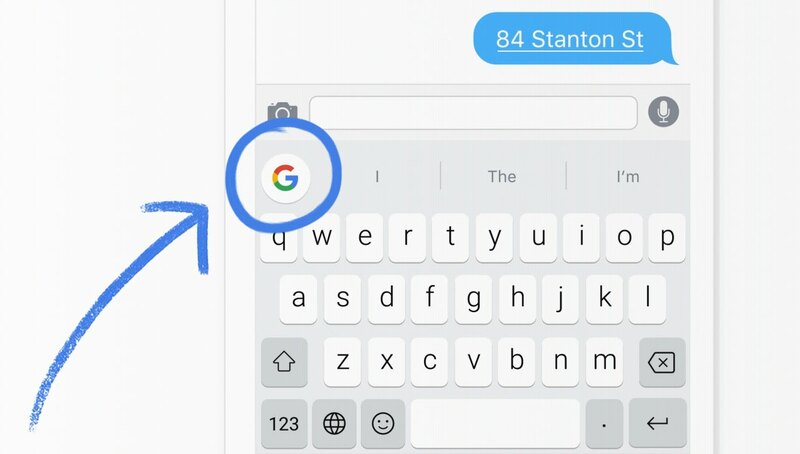 That Google button allows you to perform Google searches from within the keyboard and your current app, so that you can then include those Google searches in conversations, without ever leaving your current app. That make any sense? Think of it like this. You are in Hangouts or WhatsApp or iMessage or Gmail or any other app, and you are talking to someone about a lunch spot or a new movie trailer or you want to share your upcoming flight or hotel reservation details. You can search for those items within the keyboard by tapping the Google button, and then tapping on those search results to get them to appear in the conversation you are having or email you are typing. Mind blown? Yeah, mine too. You can also search for emoji, share GIFs, and almost any other search item that Google can come up with. And then you can include them in your conversations. About that iOS exclusivity. Over on the Gboard listing at Product Hunt, a number of people asked Google why this wasn’t on Android and Bri Connelly, who works on “product @ Google,” said that they are “Working on the best way to bring the same functionality to Android right now!” So yeah, it may come to Android at some point! In fact, that sounds like it will come to Android, we just don’t know when that will be. That’s Gboard and we all want it on Android yesterday. UPDATE: We fired up our iPhone 6 and took Gboard for a spin!